Editor’s note: Leading up to Bett, one of the largest education technology conferences in the world, we're highlighting teachers, students and administrators who are using educational technology to help schools flourish and make learning more interactive and impactful. 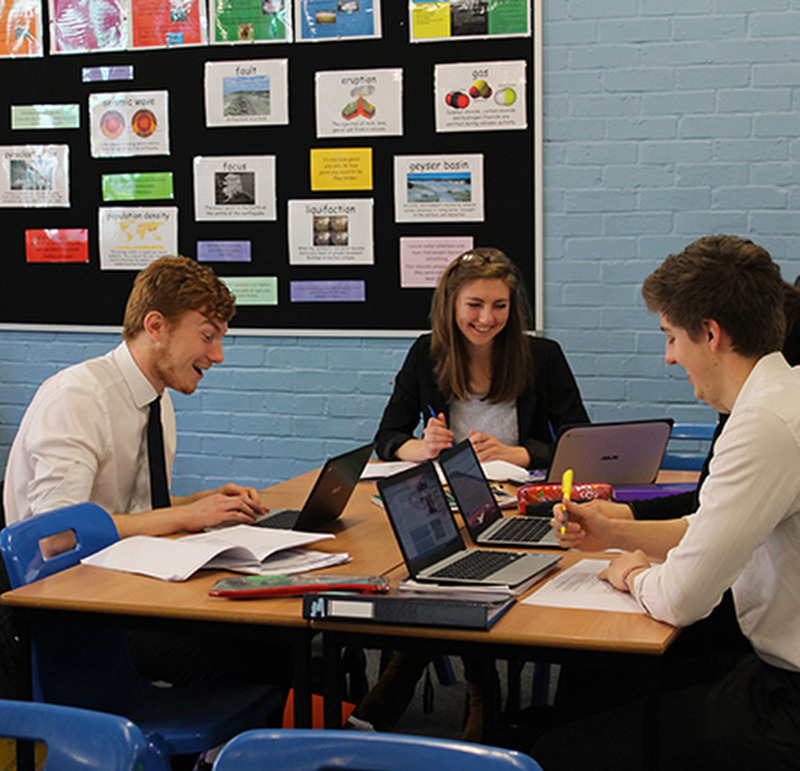 In this post, Chris Lickfold, Director of Learning at Tring School in Hertfordshire, United Kingdom, explains how technology has encouraged their school’s 1,500 students to become more curious, independent learners. Over the next few months, we'll be sharing more Impact Portraits on the blog. And check out @GoogleForEdu and #BETT2017 to learn what we're talking about at Bett. 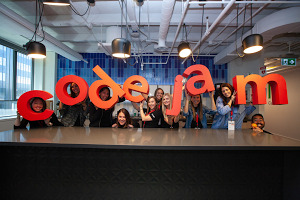 Chris Lickfold will be speaking at Google’s teaching theatre at 11 a.m. on Jan. 26. Traditional measures like attendance rates and grades are important benchmarks for a school’s performance, but they don’t paint a complete picture of student success. They don’t, for example, indicate whether students are engaged with their classwork or are inspired to discover knowledge. 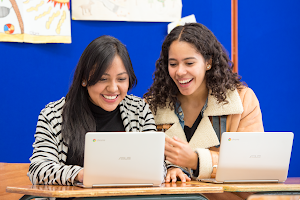 Last year we brought Chromebooks to Tring School and trained teachers and students to use G Suite for Education. We were fortunate to be in a school environment that was already reaching its goals, but we saw an opportunity to improve further by creating a culture of sharing and engagement. Shortly after bringing Google tools to students at Tring School, we saw students becoming more independent in their learning—and more curious about the world than we could have imagined. For example, when conducting primary research, we saw students collecting upwards of 300 data points using Google Forms, versus just a handful before the rollout of Google tools. Now, we're beginning to see the impact of student-led learning in more traditional performance benchmarks. In our science classes, 21 percent more students performed above their expected level in 2016 compared to 2015. And 20 percent more students reached average levels in 2016 compared to 2015. With a few hundred Chromebooks and Google Classroom, we were able to fully appreciate our students’ proficiencies and challenges. Because Chromebooks allow for real-time collaboration, teachers can see school work in progress and offer support to students as they’re working on assignments instead of providing feedback after classwork was already completed. Students like the privacy of communicating within Classroom, and they’re less self-conscious about asking for help. Teachers are also able to direct students to specific resources they need. And the portability of Chromebooks lets teachers and students to share and respond to feedback even when they’re not in a classroom together. Chromebooks and G Suite have buttressed our flipped learning approach and given students more autonomy over how they learn and what they learn about. It’s easy to provision content on Chromebooks; teachers in our modern foreign languages department add tools like Google Maps so students can immerse themselves in the locations of the languages they’re studying. Students in our design and technology department can work on projects at their own pace. In other words: Students, not teachers, decide how they’ll meet learning goals. As students work with their chosen resources, such as digital textbooks, teachers can tailor feedback and guidance for individual students—something they wouldn’t have had the time or tools to do in the past. G Suite applications help increase students’ accountability and lets teachers track homework more efficiently than paper-based methods, and that saved time can go back into working with students one-on-one. Students share classwork with each other simply because it’s so easy to do so. Teachers don’t need to encourage sharing—it’s become part of learning. All in all, Google’s tools have helped us build a culture of sharing that’s not only fun and engaging for students and teachers—it actually delivers better results. Read the full Tring School Impact Portrait and check out g.co/EduImpact for stories of impact from around the world.